Information: The second issue of a three-issue limited series drawn in manga-style. 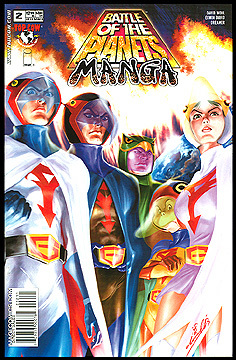 This storyline in this mini-series did not feature into the regular monthly Battle of the Planets series. Art by Edwin David, story by David Wohl. Black and white.